It was 95 years ago, this week, that a man walked into a property auction in Salisbury and came out £6,600 poorer and the owner of Stonehenge. 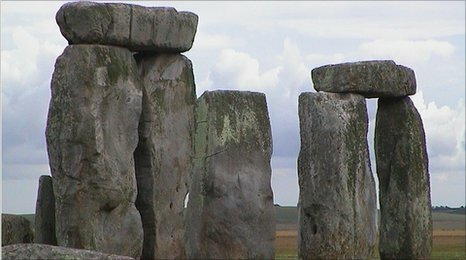 Stonehenge had never been put up for auction before and never would again. Sir Cecil Chubb, a wealthy Shrewton resident, was the new owner of Stonehenge. He was also the last man to own it. 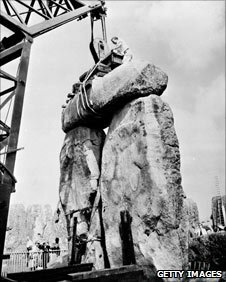 Stonehenge had been in private hands since the middle ages and been in the Antrobus family since the early 1800s. But when the heir to the Antrobus baronetcy was killed in the Great War the estate was put up for sale. In the hands of Messrs Knight, Franck and Rutley, on the 21st September 1915, the historic site went under the hammer. And Lot 15: Stonehenge with 30 acres of adjoining down land was sold at the Palace Theatre in Salisbury to the highest bidder. Sir Cecil Chubb, who’d had no intention of bidding at the sale, bought it ‘on a whim’ as a gift for his wife who, it’s claimed, was none too pleased. For the price of £6,600, the equivalent of £392,00 in today’s money, Sir Cecil Chubb’s intention that a “Salisbury man ought to buy it” was realised. Just 95 years on and, according to a survey of 500 estate agents invited to put a price on national monuments across the UK, Stonehenge is now worth a monumental £51m. 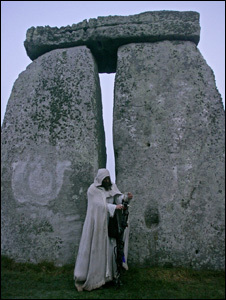 But how would Messrs Knight, Franck and Rutley, the estate agents who originally handled the sale, sell Stonehenge today? “We would still advise our client to sell it at auction,” says Andrew Rome from Knight and Franck. With Stonehenge attracting around 900,000 visitors a year, paying an average of £5 per head, a £51m valuation starts to sound like a good investment. For Sir Cecil, however, Stonehenge belonged to the nation, and in 1918 after owning it for just three years he formerly handed it over to the country with a number of conditions. His conditions were that the entrance fee should never be more then a shilling (5p) and that local residents should have free access. “The 1918 deed of gift didn’t actually specify free access for local residents,” says Joy Kaarnijoki at English Heritage, “it was an agreement with the Parish Council. Whether it was stipulated by Sir Cecil Chubb himself, or not, it’s an agreement that has continued to the present day.